Annabel's of Bryanston voted best the B&B in Bryanston by Trip Advisor is conveniently situated mid-way between Monte Casino and Sandton City, opposite the Bryanston Shopping Centre, just off William Nicol Highway. 12x Individually furnished bedrooms all with private access for our guests. Each bedroom has a unique en-suite bathroom with bath and shower. 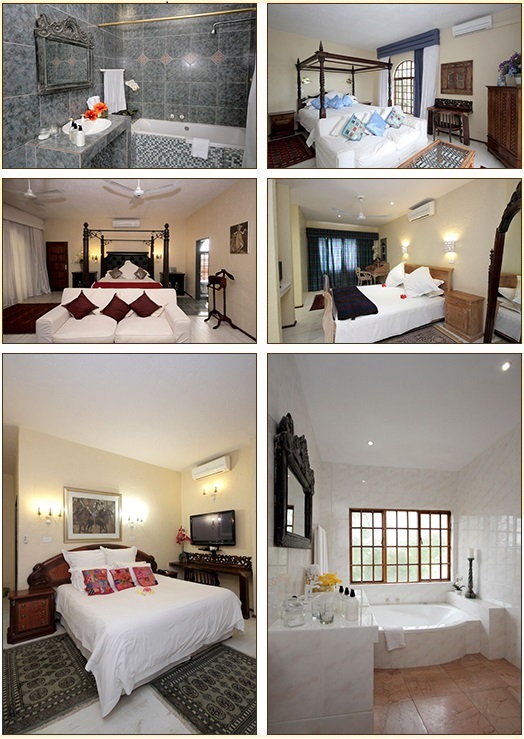 All rooms are air-conditioned with complimentary tea & coffee & biscuits tray which is refreshed daily. Every room has a large panel TV with DSTV. The entire property has high speed Internet WI-FI from Always On - 40mbpm - we offer a complimentary voucher at a set amount per day. Each room is supplied with iron ironing board as well as a bar fridge. Safe secure parking - Pool and entertainment centre - guest lounge and private bar - all set in beautiful garden. Our new conference facilities can comfortably accommodate up to 80 delegates with all latest internet connectivity. We have a honeymoon suite with a 4 poster bed and a comfortable lounge suite. The bedroom has a luxurious en suite bathroom. Our honeymoon night special is a great winner! If you would like to make an on-line reservation, please complete our on-line reservation form or contact us by telephone or fax. Special corporate rates can be arranged and discounts for longer stays. * Lounge, library, pool, bar, barbeque.